[tweetmeme source=”librarianbyday” only_single=false] The report, Opportunity for All: How the American Public Benefits from Internet Access at U.S. 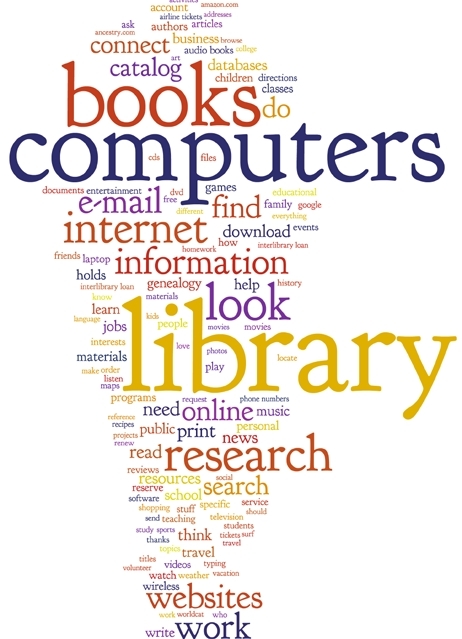 Libraries (pdf), is based on the first, large-scale study of who uses public computers and Internet access in public libraries, the ways library patrons use this free technology service, why they use it, and how it affects their lives. It was conducted by the University of Washington Information School and funded by the Bill & Melinda Gates Foundation and the Institute of Museum and Library Services. The library’s role as a technology resource has exploded since 1996, when only 28 percent of libraries offered Internet access. 44 percent of people in households living below the federal poverty line ($22,000 a year for a family of four) used public library computers and Internet access. Among young adults (14–24 years of age) in households below the federal poverty line, 61 percent used public library computers and Internet for educational purposes. Among seniors (65 and older) living in poverty, 54 percent used public library computers for health or wellness needs. nearly two-thirds of library computer users (63 percent) logged on to help others. State and local government should include libraries in comprehensive broadband deployment and adoption strategies. Business and government agencies should engage libraries in economic and workforce development strategies. State and local education reform initiatives should partner with and invest in public libraries to broaden educational opportunities for K-12 students and adults. Public and private health officials and organizations should support the public library as a partner in disseminating health and wellness information and as a resource for future health communications research. Support technology services that build communities.